Steven Gerrard has confirmed that Matt Polster (defensive midfield (yes, again)) and Stefan Marinovic (Goal) aside, Rangers’ business in the January window for incomings may now be complete. Having secured Steven Davis and Jermain Defoe now, with Glen Kamara and Jordan Jones as pre-contracts, the USA international and NZ counterpart would potentially be the final deals should both materialise, and Marinovic is still endeavouring to impress with Polster already doing so in Tenerife. But beyond those two there will be no apparent further incomings, with the position of attacking midfield left as the only slot which still really needs strengthened. 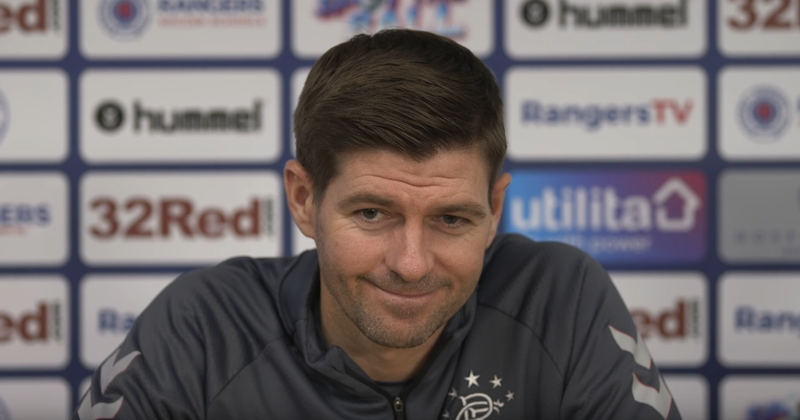 Rangers will have four goalkeepers, a pile of centre backs, a fair few full backs, enough midfielders to shake a stick at, a healthy sample of wingers and a few half decent strikers. And that is enough it seems for the manager who admitted the bulk was done. But we suspect this to mean a reference to the two players close to securing deals in the coming period. Either that or we’re left a little bemused as to the possible contradiction. But we’d imagine Gerrard, like any manager, will always be on the lookout for a good deal. I have no inside knowledge(same as everyone else) but I wonder if Polster is coming more as a right back. SG could have said to him, come in now, take a few months to get to know the place, your team mates, etc etc. In the summer, there is a good chance that Tavernier will be leaving. We have been offered good money already, if the bids keep increasing and he wants to play in England and get more money, we can't stand in his way. Hopefully time will tell that we have added two quality players in the January window. I think this will be the way ahead for us. We did the quantity thing last summer and moved the squad on heaps. Now it's a case of fine tuning and adding quality when the opportunity arises. The template in future summers should be 2 players around £3-4m each, 2 good Bosmans, 2 loan players, and ideally 1 or 2 promoted youths. We've already added the 2 Bosmans in Jones and Kamara who I think will replace Kent and Coulibaly. That won't necessarily make us stronger but it will loosen our dependency on too many loan players. There are also a few young players potentially chapping at the door. Much will depend on the success of Davis and Defoe, what happens to the loan players we have (could we get Kent for another season), and what happens to all the players we have that are out on loan. I agree that we seem to be moving forward with a coherent strategy, for a change. I agree, roughly on your numbers for summer changes. Of course, have to be balanced with outgoings, be they sales for in demand players, those unwanted and released at the end of a contract and those sent out on loan for experience or because they are unwanted. I would like to keep Kent if at all possible. Will depend on the price Liverpool want, he seems happy to come. We could also offer them a sell on %age and/or first refusal to sweeten the deal. If they say no, next ask would be to extend the loan, as you say. I seem to think he is out of contract 2020, so they may be unwilling unless he signs a new contract with them. Or they may think he won't make it with them, so let him run it down. Fingers crossed.